I have been so busy this week trying to get both mine and Tinks costumes ready for Friday, and I'm pleased to say that I'm oh so nearly finished! …just a few more little finishing off bits to do with Tinks outfit and for mine all thats needed is the contents for my basket! It took Tink and I a while to decide what she would go as. I had managed, after a considerable amount of persuasion, to convince her, that it would be good idea to go as Lola from the Charlie and Lola books only to have this idea blown out of the water by the wicked witch of the west, whom I think, had an ulterior motive …under her evil spell she made the idea of Princess Eliza from the Princess and the Wizard seem a wonderful idea, and a very familiar outfit to that of Princess Evie which she would be attempting to make for her daughter! Actually it wasn't really like that, well maybe a little, but it was me who told the wicked witch that she would be no longer attempting to piece together an outfit but to make it from scratch and with a vague picture of the princesses in my head we set of to go fabric shopping! 1 hour later, and after a hysterical visit to the shop where we were served by two very strange women who were really not very competent and had me in tears, we were finally equipped with cheap lining fabric, glittery fabric, netting and for me black velvet! Max looked a little daunted by the prospect but I knew we could do it, I love the way she always raises her eyebrows when I say "it'll be easy!" "Lovely, Tink! I can do that." 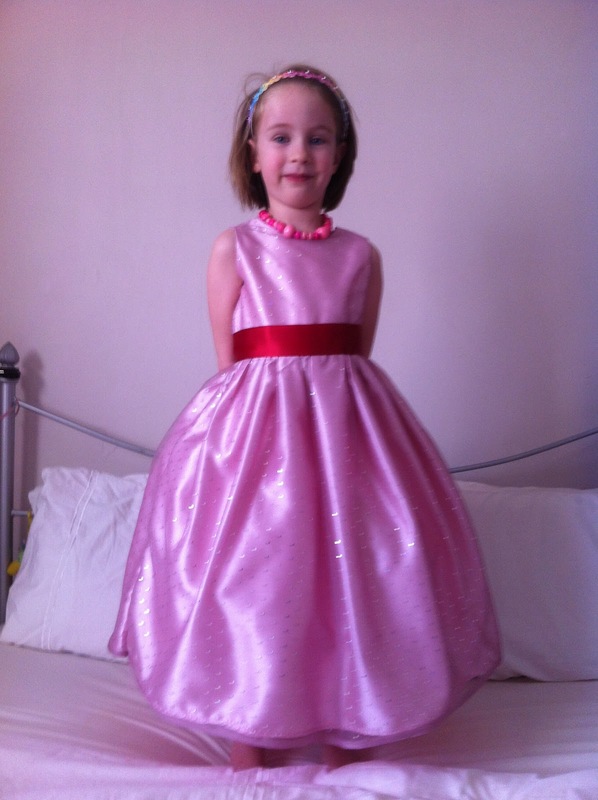 So I did and the following day she had her own little Princess Eliza dress just waiting to be 'Blinged' up… . …complete with a lined petticoat with four layers of netting! I have to say I'm really pleased with how it looks, I really can't believe I made it and without a pattern too, not that I could follow one even if I had one. Fair enough, a real dressmaker would probably pick it to pieces, but I am not ashamed with how it looks, and I would let her wear it out to a party if she wished, but these are the times when I really wish my mum could see what I can do, I know she was proud of me but she never knew I was capable of this and it's all because of her. 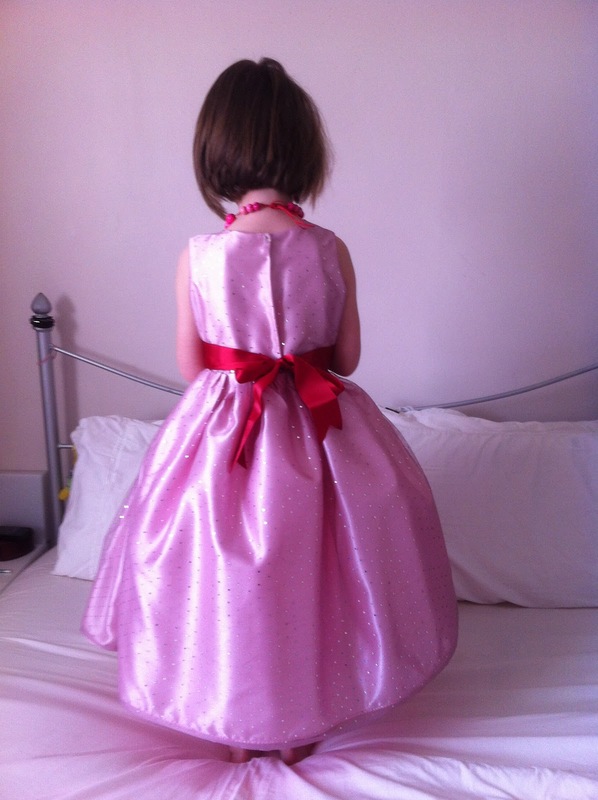 So that's Tinks, well not quite …it doesn't quite look like Princess Eliza's yet, if you know the story you'll know there are lots of coloured spots on her dress and a little heart tiara but you'll have to wait till Friday for the finished outfit. Oh yes, Max's dress! Very proud of her, she's done a wonderful job under my slightly vague and a little bit mental guidance, and with a very temperamental sewing machine. 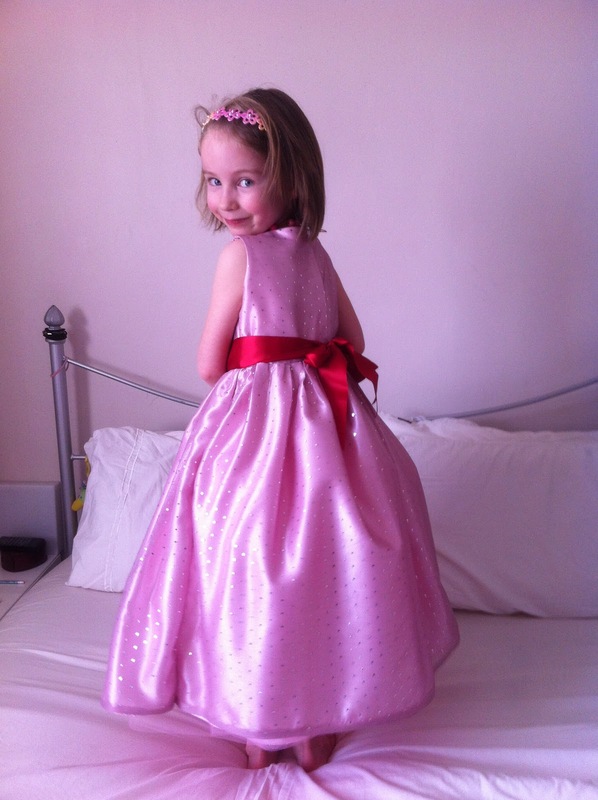 I am yet to see the finished dress… I left her at the point of how to attach the skirt to the to top, at this point my job was done! …Book week 'day' THE COUNTDOWN – part two tomorrow! MY OUTFIT!!! Looking good - can't wait to see the finished dress and your outfit. I'm sure you Mum would be extremely proud of you - by being so creative you are keeping her memory alive.